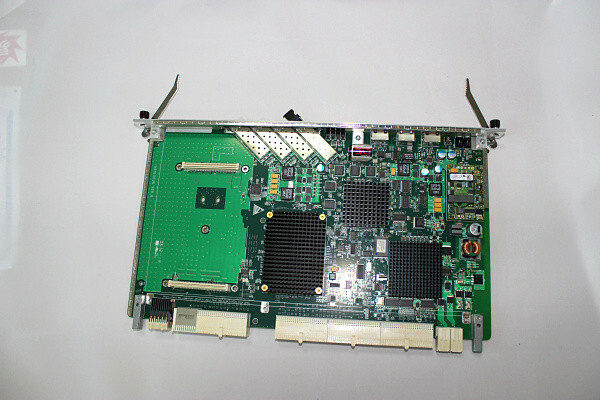 SCUN Control board for Huawei MA5680T OLT is a Super Control Unit Board. 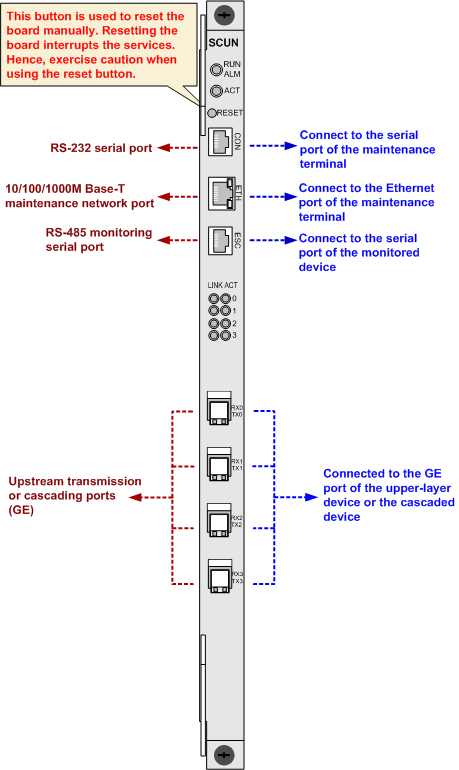 It is the core of the system control and service switching and aggregation. The H801SCUN board can also function as the management and control core of the integrated network management system (NMS). with the fan tray through the extended serial port. • The power module supplies power to other functional modules of the board. • The clock module provides clock signals for other functional modules of the board. services at Layer 2 or Layer 3. I did not know this issue, but will try, it is possible or not. I have OLT with card H80MCUD101 and M80MCUD01 but they do not want to work together for some reason. They both have the same software version and when OLT is started from only one card this card works without problems. But if I start OLT with both cards plugged in then one goes into Standby_failed mode and stays like that. I don't know what to do, the only thing that is different is SubType0 which is CPCB for 10G card and CPCA for 1G card. I was unable to find any compatibility informaton on the web so maybe you have run in such problem in the past? MCUD & MCUD1 card not support at a time MA5608T OLT. If you use MCUD card you need to keep both slot MCUD. If you use MCUD1 card you need to keep both slot MCUD1.